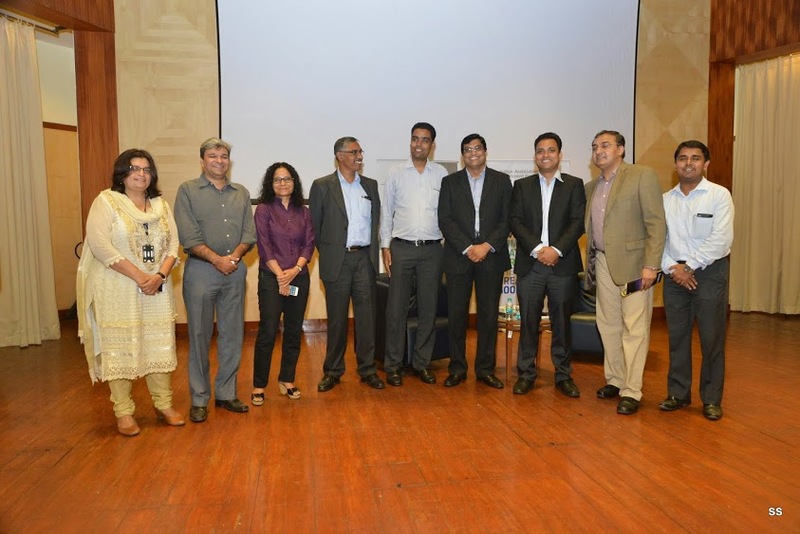 It was a fantastic opportunity in Mumbai on 10 October 2014, to hear Navneet Munot’s views on a range of topics – from meditation to investing and from philosophies to markets. Navneet is the Chief Investment Officer of SBI Fund Management. Besides being a CFA Charter holder, his academic accomplishments include a Masters in accountancy and a FRM charter. He is a director at the IAIP and chairs the IAIP’s advocacy committee. Navneet starts his day early at 8am-8.15am for analysis of the global situation and morning meetings. Every month, he does monthly meetings to review research, portfolio, strategy and also interact with media. He likes likes reading and mediation. Navneet is great believer on self study and he practices solitude on daily basis. Almost everything that was said in Navneet’s “Meet the CIO” session was extra-ordinary – our IAIP volunteers have been able to summarize some of Navneet’s views in this blog. Meditation and solitude are important in today’s massive information overload. Social networking – staying on top on social media outlets such as Twitter can become a necessity. The analyst should give oneself space – for thoughtlessness. The investor/analyst may want to seek opportunities for solitude, quiet reflection and reading. So far the wealth that has been created may have come at a cost of natural resources – this cost may not be able to justify the economic value added. Resources may not remain cheap – for example spectrum – i.e. air has become an expensive resource. Hyperactive media and judicial activism are features that may linger on. Connectivity could be expected to undergo a massive overhaul. Services could be delivered at the touch of a button. Technology could affect the auto, shipping and airline businesses. Customers would be agile and communication mediums could change – there could be disruptive changes in services – particularly financial services. Key risks going forward – a) Geopolitical b) Oil crisis – low oil unhelpful for west Asia, Russia c) unprecedented monetary easing in developed countries (easing in 7 years in US equivalent to last 100) d) goverment stability e) environmental factors f) currency wars g) unemployment among youth. Navneet believes that bond market development and evolution of technology will change things for Mutual Fund industry in India. For example, Asset Under Management (AUM) in US are bigger than GDP and have grown from 50% to 250% of GDP. Same things would happen to India as at present, retirement money is hardly invested into markets, while bond market is yet to evolve. In the analysis of fixed income investments three main philosophies include – duration, yield curve play and sector allocation. Duration plays depend on macro, fiscal and monetary policy forecasts. Yield curve plays largely are on views with regard to the shifting of the yield curve. Sector selection is both macro driven (economy outlook) as well as bottom-up depending on credit / sector selection. Navneet believes that India is in process of creating an economic miracle which is unparallel to any other country by 2020. Main difference between China and India is, China grows because of its government, but we have grown despite government and are destined to grow. Optimistic about Indian democracy, he believes RBI, Election Commission and RTI Machinery are institutions to be proud of. With our large coal reserves, we might turn into energy exporter. India is being seen as an oasis of growth and a stable political environment could create an economic miracle in India. There will be a need to build an ability to see if investment thesis was wrong or something beyond the analyst’s control was the reason. If one is wrong on the thesis, one would need to get out of the stock and not allow a bias to influence the decision. Quantitatively an assessment can be made on the rating/ recommendation history and performance. Qualitatively, value add to the team is appraised – cross / peer feedbacks become an important input. It is not easy to get the right idea in an overheated market, but there is always an opportunity to identify two good stocks. Liquidity watch and management are always critical. Apart from professional knowledge, the CFA charter is an excellent foundation for bringing in conceptual clarity. One of the biggest contributions that the CFA charter can bring is the focus on Ethics. Many times in business there is a fine line between the ethical and non-ethical conduct. But the emphasis always should be on doing the right thing. Doing the right thing when nobody is watching is a value that CFA charter holders are likely to possess. This entry was posted in Events, Mumbai, Speaker Events and tagged IAIP, Jayesh Gandhi CFA, Jignesh Kamani CFA, Jitendra Marchino CFA, Navneet Munot CFA, SBI Fund Management, Shreenivas Kunte CFA. Bookmark the permalink.